It's not about being the best, it's about being the best you. My Groupon Campaign has launched! I’m very excited to announce that my Groupon campaign has been launched to the public! I’m offering my current styling services for up to 57% off original price. My bundles include everything from phone consultations to closet makeovers – to personal shopping! Purchase a session for yourself or get one as gift for a friend! If you’re not interested in any bundles, you may purchase and book a session with me on my personal website, where I have individual services available. Note: Groupon had edited a lot of my original information under the descriptions of my services, so for anyone that is interested but may have questions, please feel free to check out my website page under services for my original descriptions explaining each service. You may also ask me any question directly, through my business website or blog. Ever wanted to shop in a store that’s affordable and has a mix of vintage pieces and brand name and designer goods in the same place? Look no further. 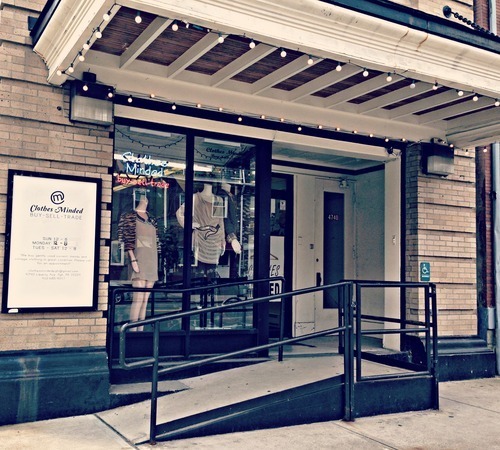 In the center of Pittsburgh, Pennsylvania lies a cute store filled with unique finds and sometimes even barely used or worn designer merchandise. I initially found out about this place from a friend that had recently moved into the Bloomfield area. Knowing my love for everything fashion and vintage, I googled info about the store, found the address and was on my way to venture out! 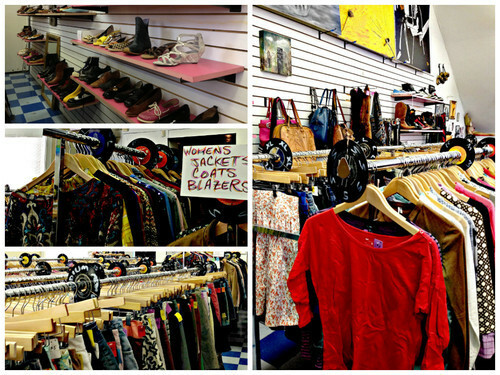 There, on the corner of LIBERTY AVE AND STATE WAY lays a beautifully unique store called ‘CLOTHES MINDED’. Don’t let the name fool you though. The merchandise is more “one-of-a-kind” than anything. 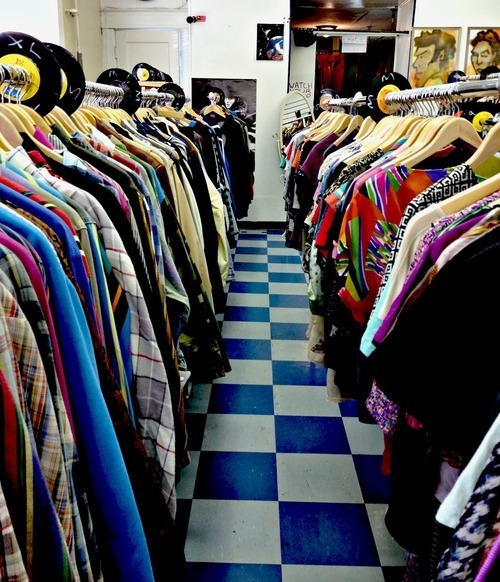 The owner of the boutique, Josh doesn’t like to consider his store a consignment shop (even though they do buy and trade) but more of a vintage shop that sells various pieces that caters to literally almost anyone for affordable prices. The little things really do make a difference. I was especially taken away by the creativity that was shown all throughout the store. 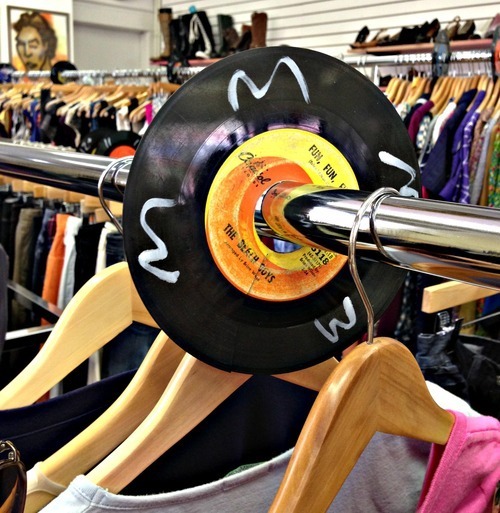 One of my faves was how they use mini records as size tags. Not only was that something I’ve never seen before, they made browsing through clothes so much simpler. 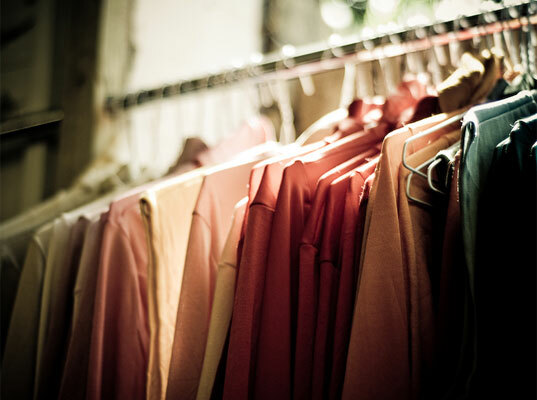 Knowing and understanding the space that they do have, Clothes Minded keeps and maintains tidiness and organization, leaving an aisle in between for each gender. Some of the pieces such as accessories and shoes are mixed in depending on style, however they are always laid out nicely for customers to view without doing too much rummaging around. Now, remember how I mentioned that there are also designer goods here? Authenticated by Josh himself, you can find yourself some real good finds. Sometimes you can even find exclusive, designer pieces. Vintage Chanel Jacket anyone? How about a Louis Vuitton belt priced over 60% off? You’re more than likely to stumble upon some treasure items similar to the ones that I found. You need to check this store out! Please stay tuned for new and exciting things to come!